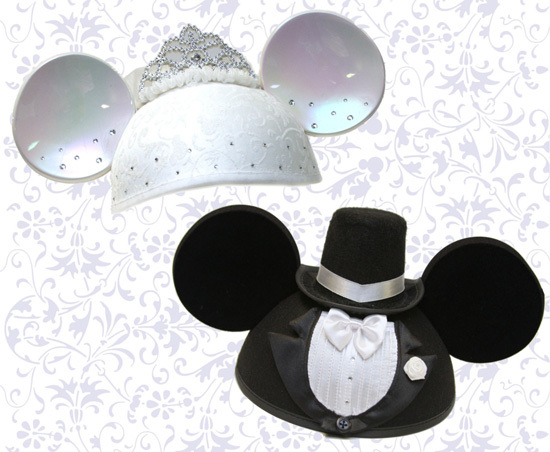 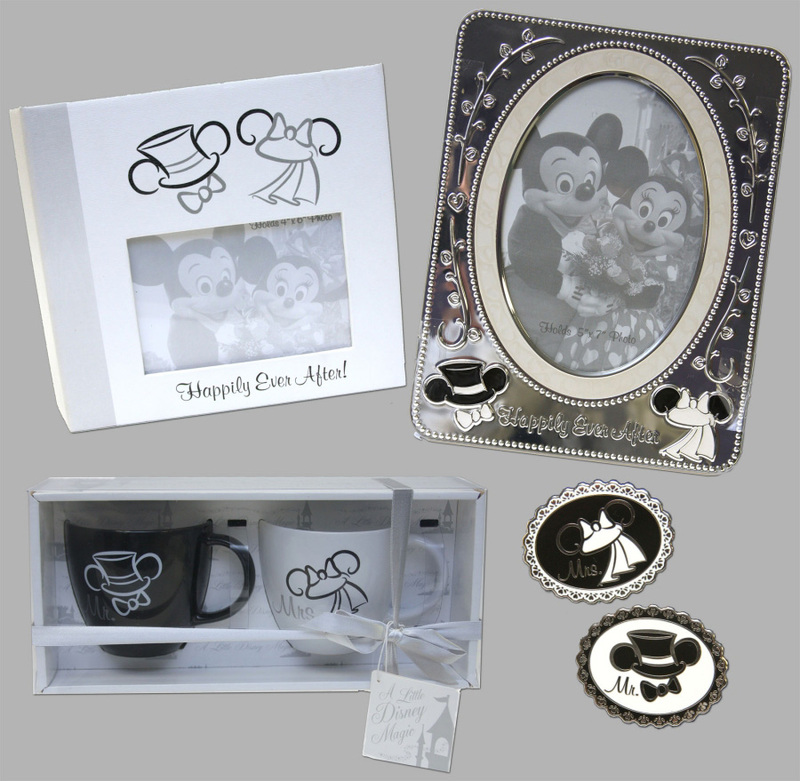 For the ear-hat art program, there are a variety of items including pins (the ultra portable item to inform others you are the happy couple); photo albums and wedding frames to capture memories from the special day; and my favorite item – coffee cups. Those cups sure make it easy to identify who gets what cup in the morning (especially when one is a little sleepy). Q: On a recent visit to Tokyo Disney Resort, I noted a large amount of merchandise, from figurines to jigsaw puzzles, relating to the marriage of Mickey and Minnie. 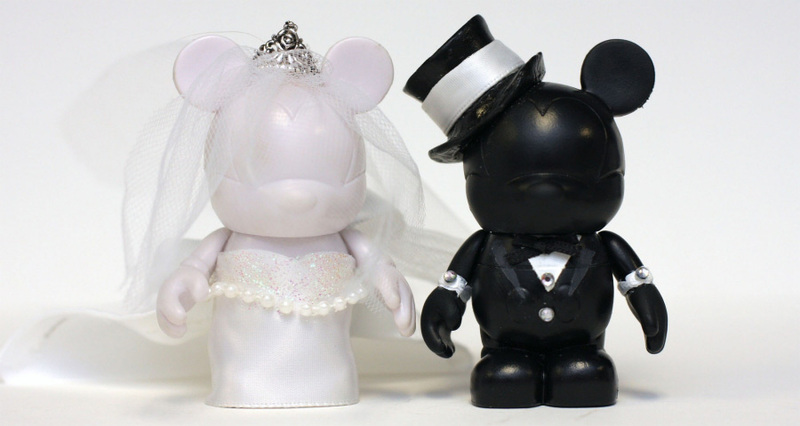 Is there an official back story behind this particular form merchandise that appears in Japan? 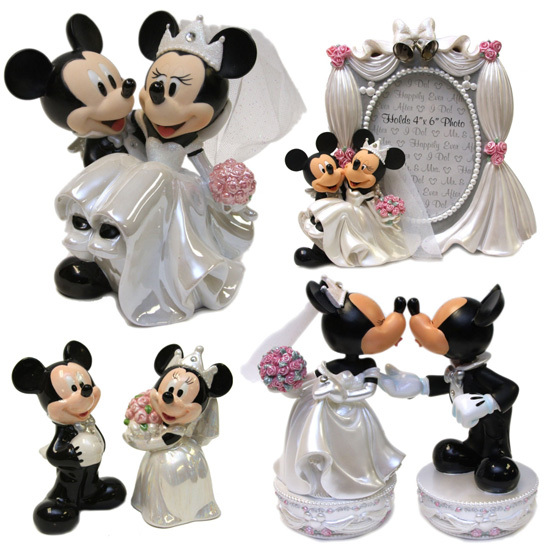 A [Dave Smith]: At least in the United States, Disney does not recognize that Mickey and Minnie are "married."